“Did you go camping or did you glamping” was immediately followed by a “was there a toilet or not”. I overheard this conversation when I was in the gym this week. Hmmm, there goes my idea of what I thought glamping was. I saw glamping as the most luxurious way of sleeping under canvas, like the safari camps in Africa. According to Wikipedia Glamping is ‘a portmanteau of glamour and camping and describes a style of camping with amenities and, in some cases, resort-style services not usually associated with “traditional” camping.” So I guess the Australians have their own interpretation, “traditional camping” did not include having a toilet. During the Cup day weekend we finally got the chance to go camping in Victoria. 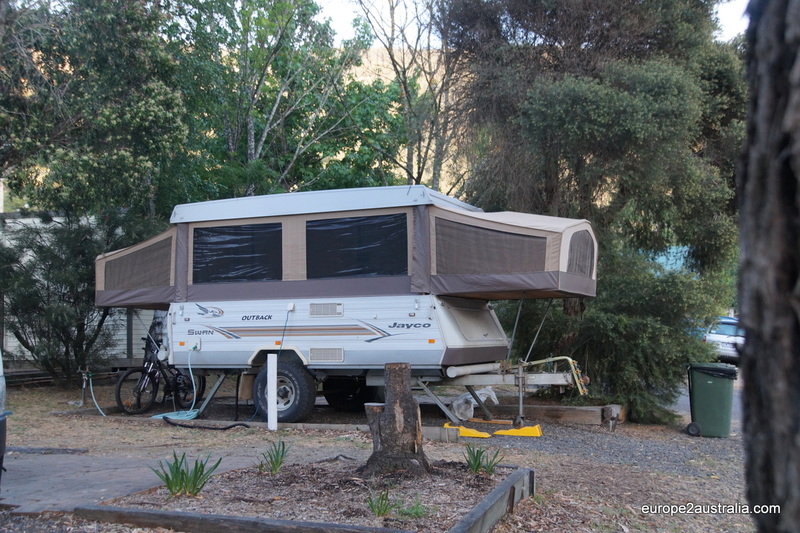 Uhm, I mean glamping, as there were toilets and showers on the Halls Gap Caravan Park. Little did we know that this is a very popular weekend for a lot of people and lots of places were fully booked for a long time already. Even, or especially, at campgrounds. The advantage of deciding this so last minute is that we managed to fill up the gaps of other people’s cancellations, so we ended up in the Grampians. Which did not turn out to be such a punishment at all. As it is a great place for hiking and we had our first Kangaroo encounter! 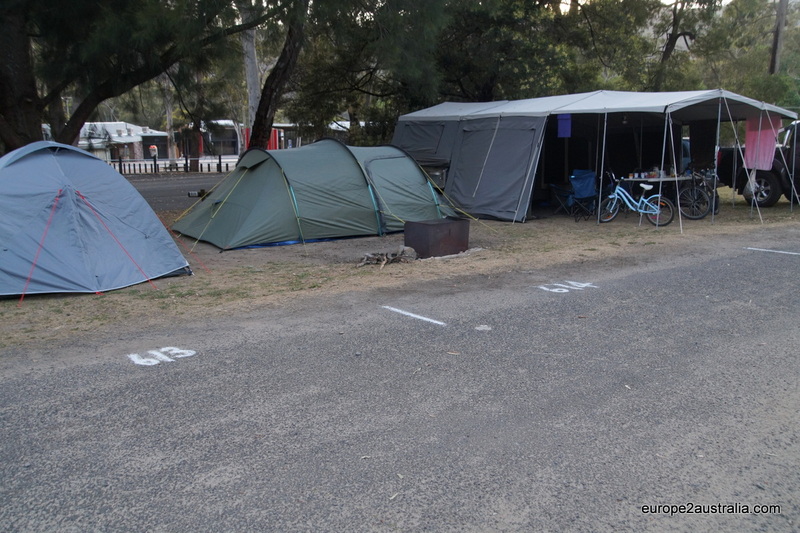 Australians must like each other a lot, at least at campsites. Judging by the non existed distance between the spaces. 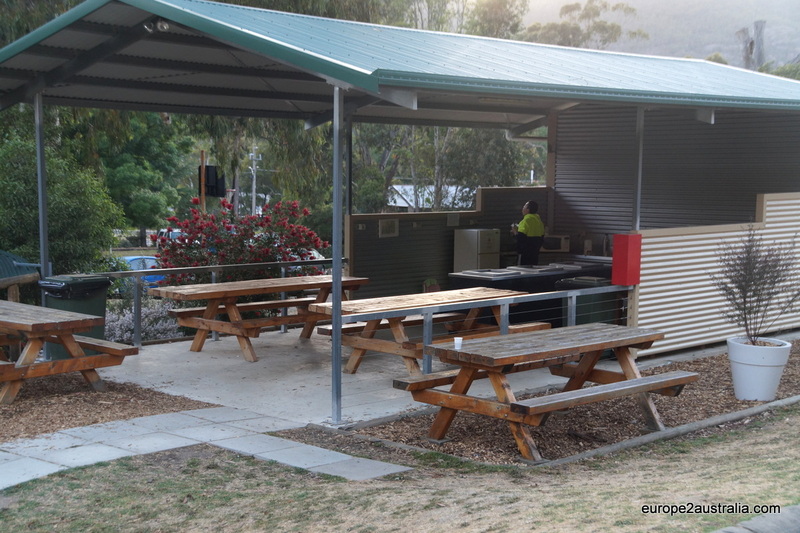 There are often well equiped kitchens at campsites. Of course with a hot plate, but a microwave, fridge and a water boiler can also often be found. You can find all sorts of sleeping arrangements on the camp ground. I did a tour over our campsite and made some pictures to give an impression of the different ‘accommodations’ that you see here. These one person tents are very populair. We have seen whole families,each their own tent. Extendable caravans. We were familiar with the extendable height, but extentions to the side where new to us. 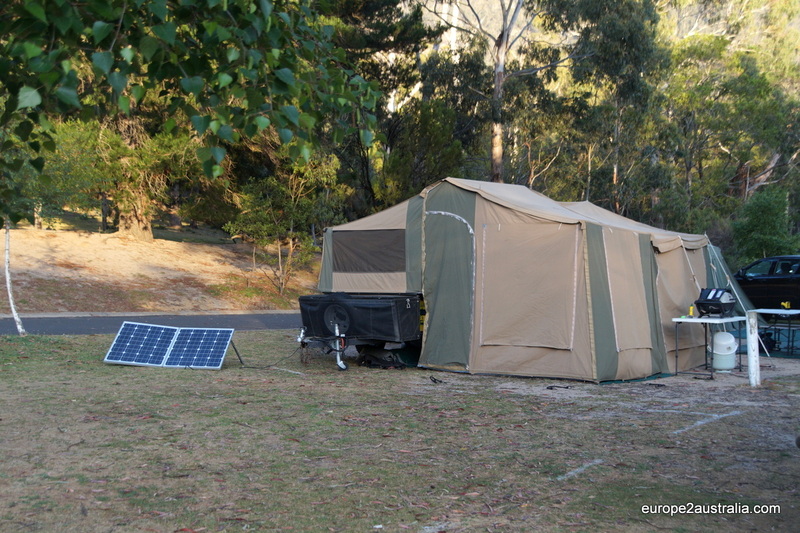 The fold out tent from a trailer, notice the solar panels, which make a lot of sense here. 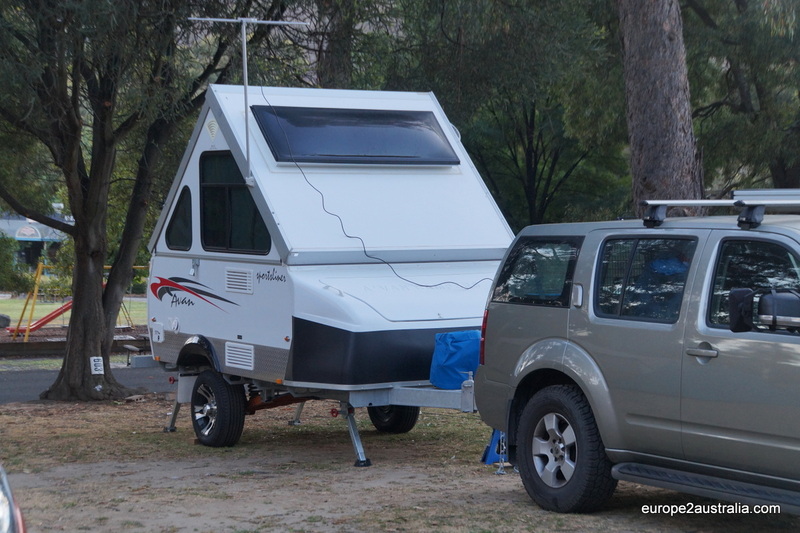 The extendable trailer, looks like a very tiny solution. And of course the (rental) camper van. You find them in all sorts and sizes. We also rented a camper for our Sunshine coast trip. 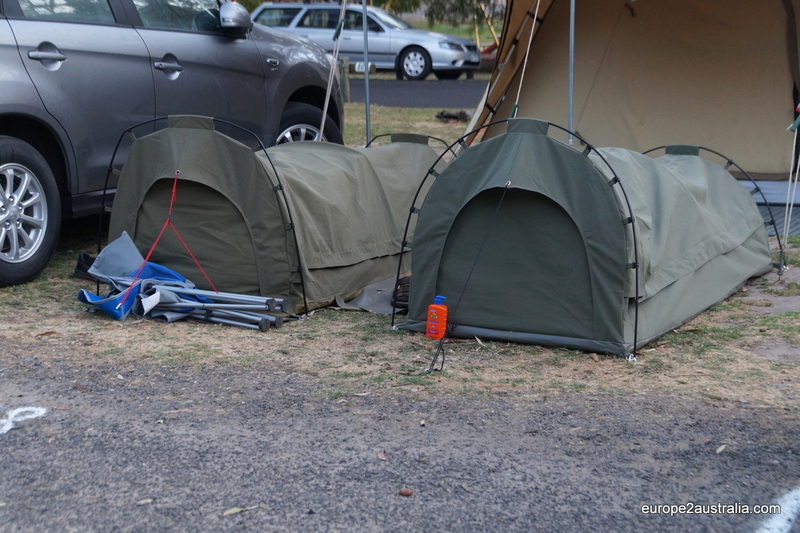 So now that we are familiar with the glamping version in Australia, I am very curious about the camping variation. The one without the basic facilities as a toilet and a shower, so we can experience the real camping. To be continued…. 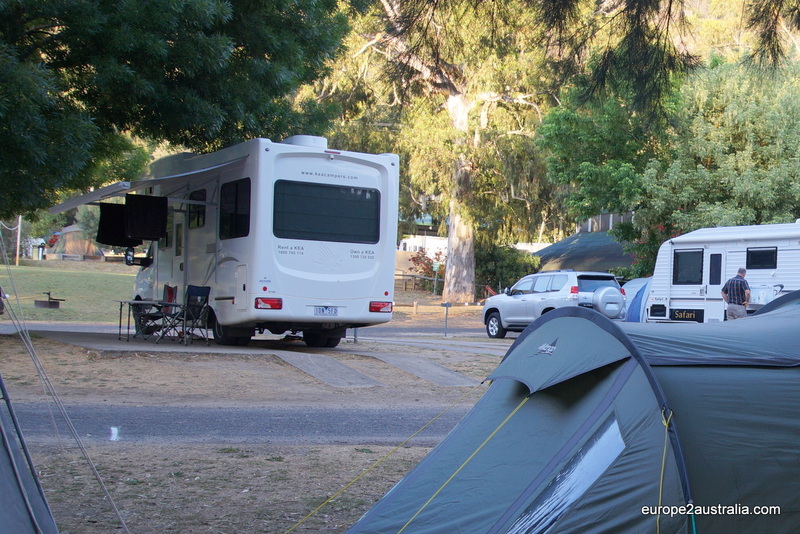 We’ve camped in Halls Gap many times – the Grampians is one of my favourite places in Victoria!